Helen Mirren attends the 90th Annual Academy Awards at Hollywood & Highland Center on March 4, 2018 in Hollywood, California. Helen Mirren polished off her look with a pair of Harry Winston sapphire and diamond drop earrings. Helen Mirren showed off a lavish sapphire and diamond necklace by Harry Winston at the 2018 Oscars. 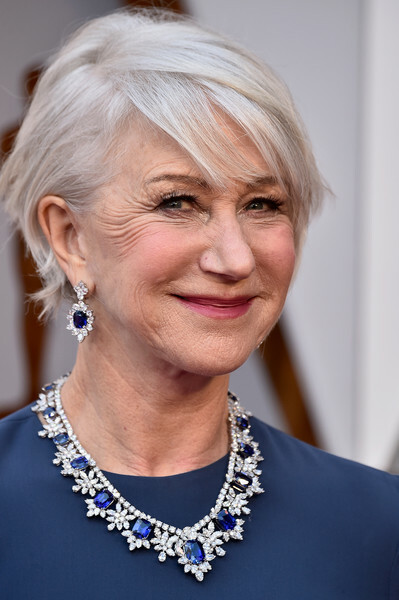 Helen Mirren wore her short hair with a deep side part at the 2018 Oscars.